You never have to worry about wet roots in a colander planter, since it has natural drainage. Just pop the colander right in your sink and give it a good drenching. It both washes your salad green leaves and waters the plant. When you have a ton of plants in the home like I do, you begin to look at every possible container as a home for a plant. Though I went for a long time without eyeing my colander as such, I soon recognized that it makes a ridiculously fine planter, particularly for herbs and salad greens, which have a high turnover rate—at least in my home. 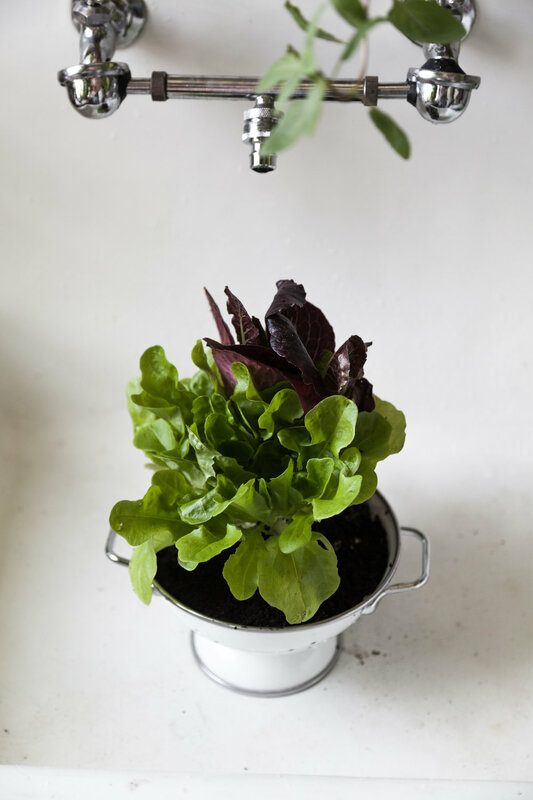 A colander is a perfect planter, namely because it has natural drainage holes, allowing for you to water (and wash) your planted greens right in your sink. I typically grow salad greens or herbs in my colander, snipping off leaves, as I need them. Add some soil to the base of the colander. Add your plant to the colander and fill in the gaps with potting soil. Pat down around the base of the plant, ensuring that the roots are covered. Here's a little hyperlapse video of how easy it is to make a colander planter.